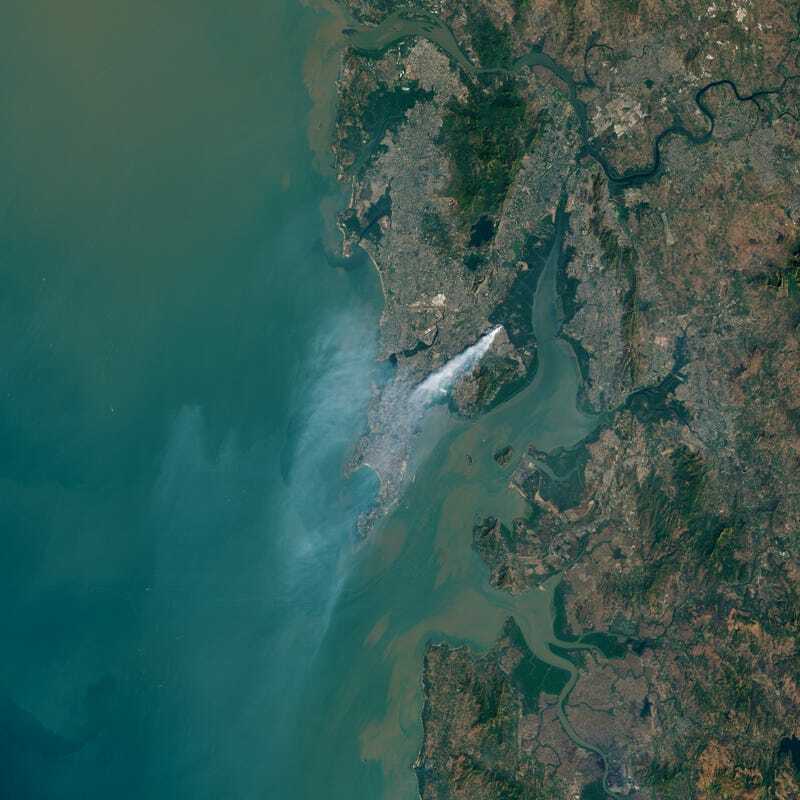 This new image posted by the NASA Earth Observatory shows the devastating smoke cloud coming off the Deonar dumping ground in Mumbai, India. According to the report, the landfill handles 3,700 tonnes of waste every day, accounting for about a third of the city’s waste. NASA sensors first detected signs of the fire last week. The above true colour image was captured by the Landsat 8. Though it’s hard to see from space, some of the piles of rubbish are a startling nine storeys high. Here’s a more zoomed out image, which makes what is a horrible urban ecological disaster look beautiful.